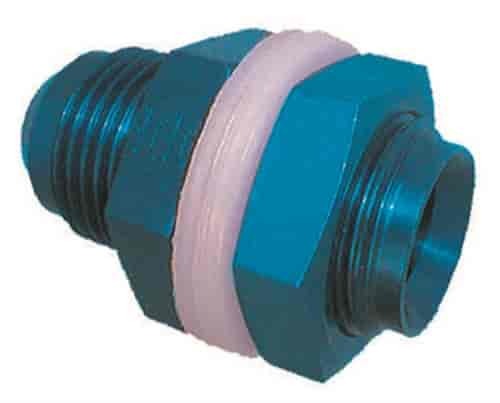 JAZ Products' Fuel Cell Fast Flow Fittings are designed with a reverse tapered flare that allows fuel to flow with less turbulence than a standard bulkhead fitting. These fittings are to be installed in the fuel cell's sump for maximum flow. Included are a jam nut and two washers.